Amitabh Bachchan is apparently the most famous Indian film actor and TV personality. In his 5 decade long career, Amitabh has worked in over 190 movies and appeared on Television on several occasions. His rugged voice is captivating, thus he is often asked to give voice-overs in Movies and documentaries. He first gained popularity in the early 1970s for movies like Zanjeer and Deewaar. Amitabh is often called as the 'angry young man' of Indian film industry after such raging roles in the movies. In view of his blockbuster movies and his memorable performances he is referred to as the "Star of the Millennium", "Shahenshah of Bollywood". French director FranÃ§ois Truffaut called him a "one-man industry". 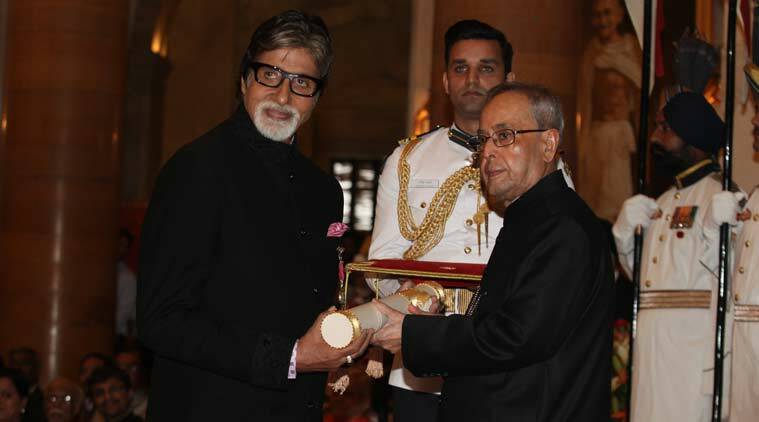 Amitabh Bachchan has been Awarded Prestigious National Film Awards four times and has almost 15 Filmfare awards to his account. Amitabh has hosted several seasons of 'Kaun Banega Crorepati', the Hindi version of famous game-show 'Who Wants to Be a Millionaire'. In view of his excellent career in the field of cinema and beyond, the Government of France honored him with its highest civilian honor, Knight of the Legion of Honor, in 2007. The Government of India honored him with the Padma Shri (fourth highest civilian award) in 1984, the Padma Bhushan (third-highest civilian award) in 2001 and the Padma Vibhushan (second-highest civilian award) in 2015 for his contributions to the field of art and Cinema. In 2013 Amitabh Bachchan made his Hollywood debut with 'The Great Gatsby', alongside Leonardo Dicarpio, where he played the role of Meyer Wolfsheim. In addition to acting, Bachchan has worked as a playback singer, film producer and television presenter. Amitabh Bachchan was born in Allahabad, Uttar Pradesh, on 11 October 1941 to Hindi poet and writer Harivansh Rai Srivastava and social activist Teji Bachchan. Amitabh was born at the time of Indian Independence struggle, his father decided to name him Inquilaab, after the famous phrase "Inquilaab Zindabaad", which translates to "Long live the revolution". He later decided to name him 'Amitabh' (the light that will never die). Harivansh Rai used his pen name as his second name instead of his actual surname 'Srivastava'. Amitabh followed the suit and used Bachchan as his surname. Amitabh went to Sherwood College, Nainital and later to Kirori Mal College, New Delhi, for higher studies. Amitabh has only one younger brother Ajitabh Bachchan. Amitabh is married to actress Jaya Bhaduri. 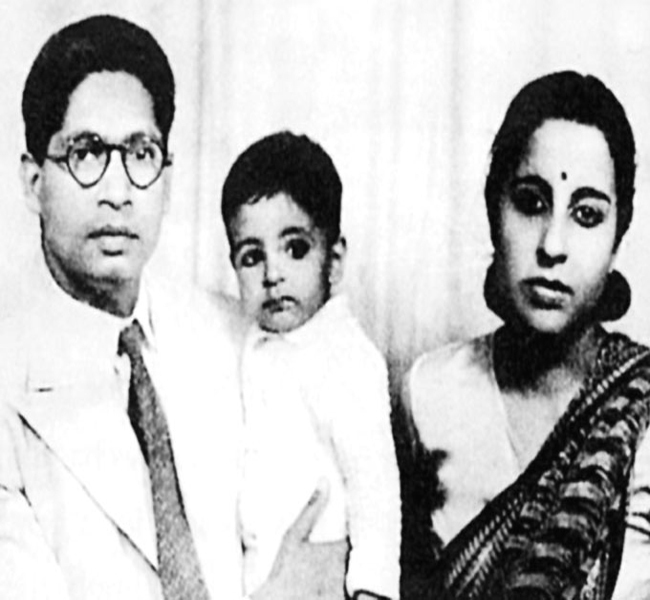 The couple raised a daughter Shweta Nanda and a son Abhishek Bachchan. Abhishek is married to actress Aishwarya Rai Bachchan. Amitabh is often called "Big B" and Abhishek is called Junior Bachchan. Amitabh Started his Career as a Voice Artist and Narrated the movie 'Bhuvan Shome'. It is Rumored That he Went to get a job at All India Radio but he was Declined the job Stating the fact That his Voice was not Suitable for the Radio. Amitabh First Movie role came in 1969, with movie 'Saat Hindustani'. It was Followed by the 1971 drama film 'Anand'. Actor Rajesh Khanna played the protagonist and Amitabh Played a doctor in the movie. Rajesh Khanna was a Successful and Established actor by Then and to Act Along him brought Amitabh glory. 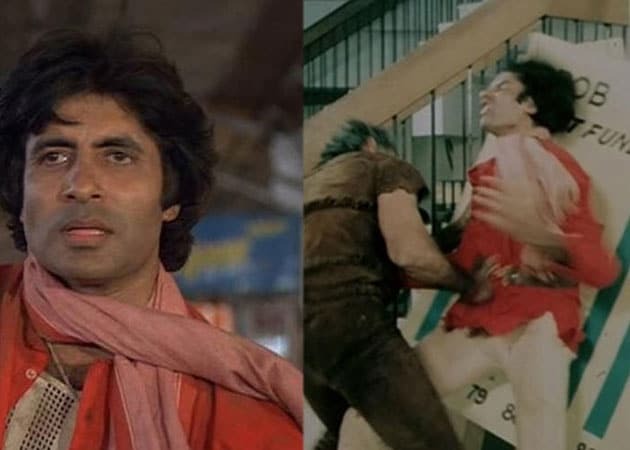 In 1971, Amitabh Bachchan played the role of Chotu in crime-drama Reshma Aur Shera. Sunil Dutt who directed the film, also acted in it. Vinod Khanna and period Actress Waheeda Rehman were Amitabh's co-actors. In the same year, Amitabh Acted Along with future wife Jaya Bhaduri for the First time in 'Guddi'. Amitabh tried his hand at Comedy with 1972's 'Bombay to Goa'. 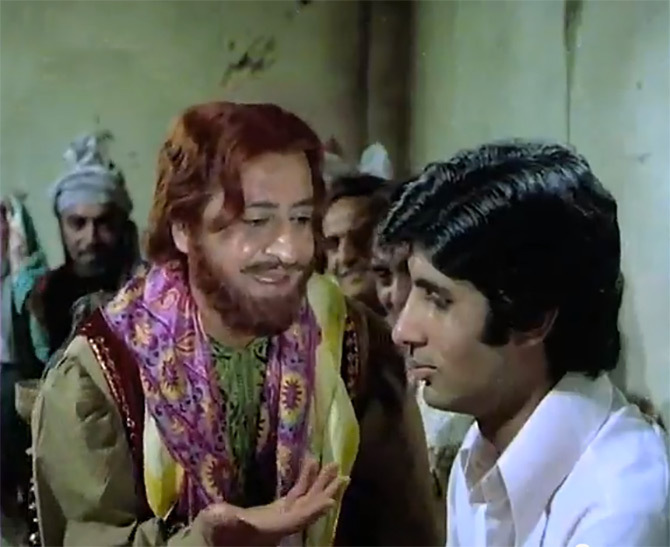 Amitabh's career took a turn and got a boost with Prakash Mehra's Zanjeer (1973). Amitabh's role of an honest and self-assured Policeman reflected the anger of the masses, against corruption and dishonesty. The portrayal of a robust and raging policeman won him the title of "Angry young man" of film industry and he won his first Filmfare award for the same. Amitabh got his second Filmfare Award for Best Supporting Actor, for the 1973 film Namak Haraam. Amitabh Bachchan starred in Manoj Kumar's Indian satirical 'Roti Kapda Aur Makaan'. It proved to be the highest grossing film of 1974. Hrishikesh Mukherjee casted Amitabh to play the role of Kumar in 1975's comical Chupke Chupke. Another milestone for Amitabh's career came with the Yash Chopra directed crime drama film 'Deewar'. Amitabh starred alongside Shashi Kapoor and Nirupa Roy. Shashi and Amitabh played brothers in the movie. The movie turned out to be a big success and was touted among the all-time best movies of India. He was nominated for Best actor at the Filmfare. In the same year, Amitabh was casted along with actor Dharmendra to play the role of Jai, in Ramesh Sippy's 'Sholay'. The film became an epic and the movie's dialogue and characters became cult. The serious act and occasional stint of comedy made Amitabh to appear as the protagonist of the film. The movie was so successful that at one point it was the highest grossing movie of all time. The next year, Amitabh was again casted by Yash Chopra in his next film, romantic family drama 'Kabhie Kabhie'. In the movie Amitabh played the role of a poet. Rakhi Gulzar played Amitabh's love interest, who eventually marries someone else. This movie brought about a drastic change in the angry young man image of Amitabh and transformed him into a romantic hero. In 1977's 'Amar Akbar Anthony' he Played the Brother of Vinod Khanna and Rishi Kapoor and won the Best Actor Filmfare award for his performance in the movie. He played the role of an underworld don in the movie 'Don'. 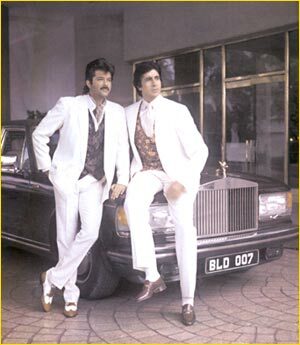 Amitabh played double role in Don. During the next five years Amitabh delivered many successful movies such as Trishul, Muqaddar Ka Sikandar, Mr. Natwarlal, Kaala Patthar, The Great Gambler, Lawaaris, Satte Pe Satta, Dostana etc. Dostana (1980) was again a Blockbuster. Amitabh Took a Break from Cinema for Almost 3 years Between 1984 and 1987. He Returned to Bollywood in 1988 and did the film Shahenshah. The Movie was well-Received and was a Commercial Success. However his Later Movies Jaadugar, Toofan and Main Azaad Hoon Failed To make a Mark on the Box Office. In 1990, he Again Played the Role of a Don in Agneepath and Garnered the Best Actor National Award for his role. Though it Could not Help his Dwindling Career. 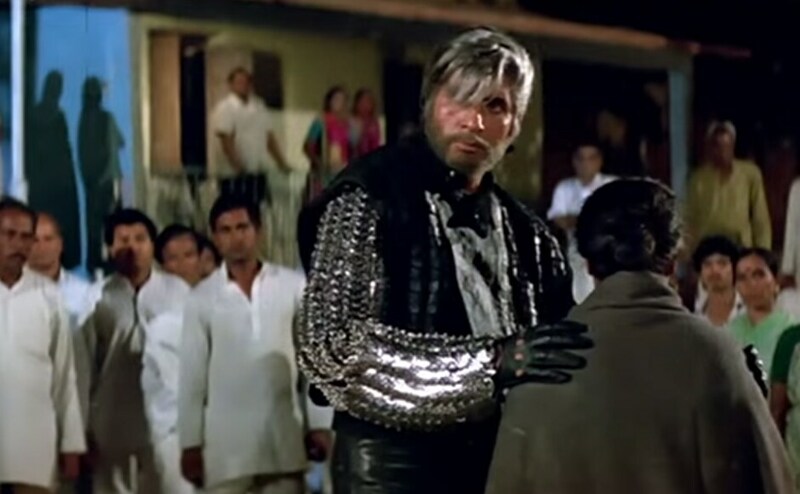 After the Success of 1992 Khuda Gawah, Amitabh Again took a long Break from Movies. His career was Revived by Yash Chopra's Mohabbatein (2000). Later Some Other Movies like Kabhi Khushi Kabhie Gham, Baghban kept his Career Graph up and Steady. In 2005, Sanjay Leela Bhansali Casted him to Play the teacher of a Mute, deaf and blind girl, in 'Black'. Then in 2009, Amitabh played the role of a progeria patient, where Abhishek Bachchan Played his Father. The Sarkar film series, which was Apparently Based on the Godfather Series, Helped Amitabh Even Further to Re-Establish his Career. 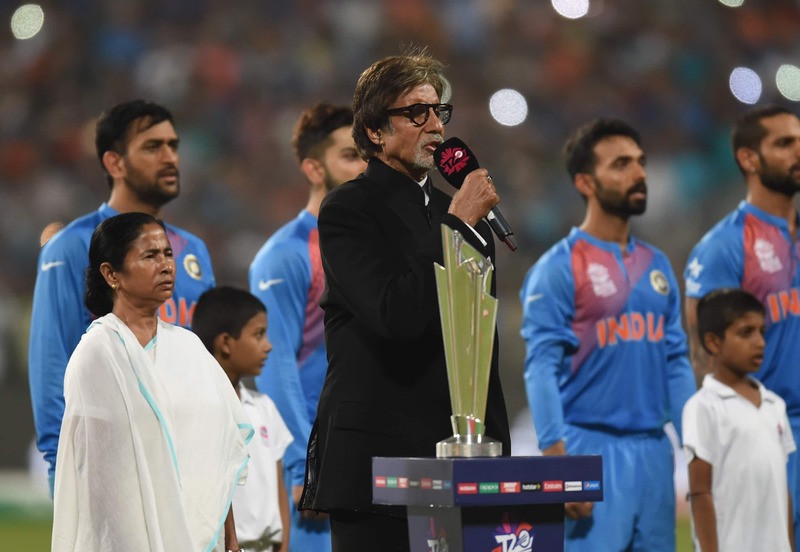 In 2015,Amitabh Bachchan did the critically acclaimed Piku. His role in the courtroom drama film 'Pink' got Amitabh a Filmfare Award nomination for Best Actor. Amitabh is set to star in the 2018 film 'Thugs of Hindostan'. 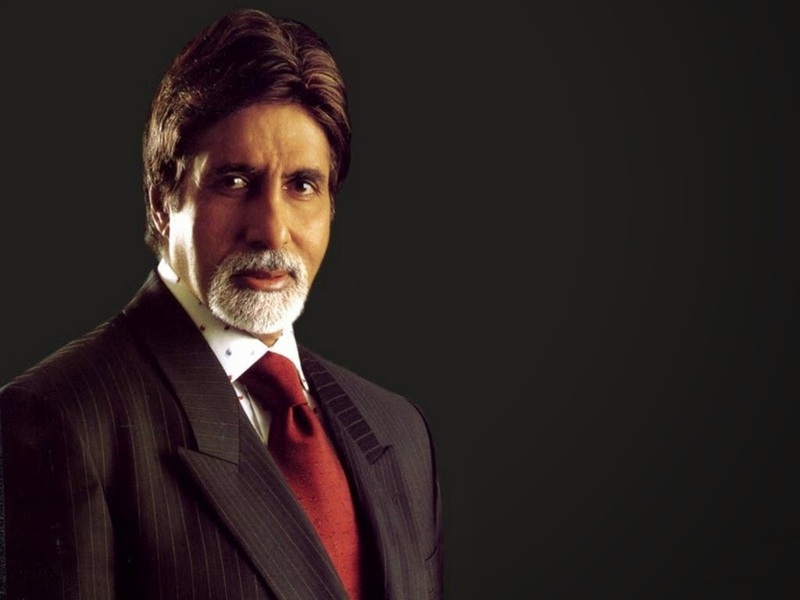 In 1996, Amitabh Bachchan set up an Entertainment Company by the name Amitabh Bachchan Corporation, Ltd. (ABCL). The Company was Involved with film Production and event Management. 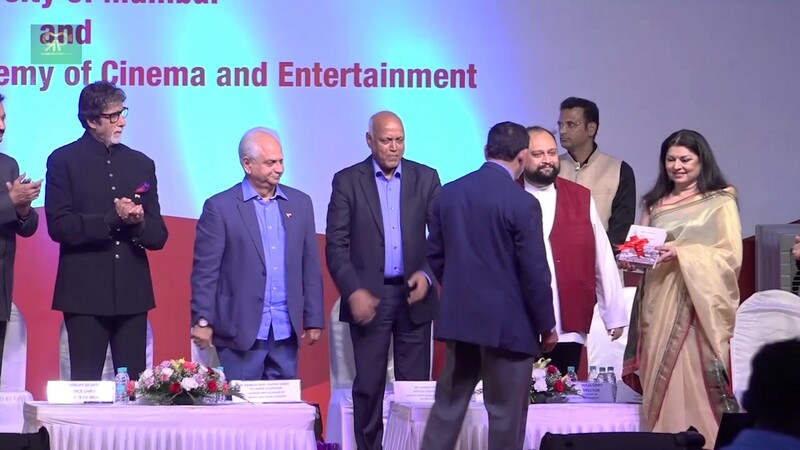 It managed the Miss World 1996 Event but Ran into Troubles when There were unpaid dues Left After the Event. The first Official Movie to be Made and Produced by ABCL was 'Tere Mere Sapne'. It Failed to do well on the box-office. The Company Failed Terribly and Amitabh was Left in Heavy Debts. Amitabh Bachchan Hosted Kaun Banega Crorepati (KBC), the Hindi version of British game-show 'Who Wants to be a Millionaire'. The show became an instant hit and Amitabh rose to popularity again. It is rumored that Amitabh was able to pay off his debts only after doing a few seasons of KBC. He has hosted 8 seasons of KBC, including the 2017 season. Shahrukh Khan was roped in to take Amitabh's place, but as the ratings dropped drastically in absence of Amitabh, he was called in to play host in fourth season again. ⇨ "I believe that cinema picks up ideas from society and not the other way round"
⇨ "When your back is against the wall, there's only one way to go and that's forward"
⇨ "It is good to praise others but it important to look for faults within oneself. It is nice to be concerned about people but to be introspective is even nicer"
âž¯ "I was very shy as a child. Very shy. Lot of problems with very simple things. Like entering a restaurant all by myself"
âž¯ "We are not the people we are in films. I am not an alcoholic. But I portray that. I can't bash up 20 guys at a time in real life. It's just that I do it well on-screen"
⇨ "I am very happy with what I see. The grey, the not-so grey and the camouflaged That's life. One has to live with it"
⇨ "Basically I am just another actor who loves his work and this thing about age only exists in the media"
âž¯ "In a country which lacks so many things, people want to look up to an idol. They want to feel this is their hero. In exactly the same way, as they would want a whipping horse, to put all the blame"